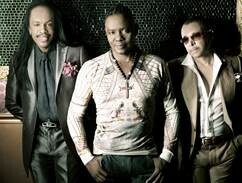 Earth, Wind & Fire have sold over 90 million albums and apparently continue to sell-out concerts around the world. The R&B/pop/funk band recently announced three UK dates in July 2016. The group was born in Chicago in 1969 and is still going strong in its fifth decade. They’ve received many awards and accolades including an induction into both the Rock and Roll Hall of Fame and the Grammy Vocal Group Hall of Fame, earning eight Grammy Awards and four American Music Awards. Earth, Wind & Fire return to the UK after performing to audiences in 2014 to great acclaim. The brainchild of recently passed music legend Maurice White, the group till remains one of the top touring groups of all time with founding members Philip Bailey, Verdine White and Ralph Johnson. Their songs haven been covered by an eclectic roster of artists and the band’s music history has influenced many top artists including Pharrell, Prince, Alicia Keys, wil I am, Kendrick Lamar, Usher and Beyonce. They will be honoured at the 2016 Grammy Awards with a Lifetime Achievement Award on 15 February. Tickets for their concerts go on sale at 9am, this Friday 12 February. Tickets are available from: www.ticketline.co.uk or each of the venues directly.